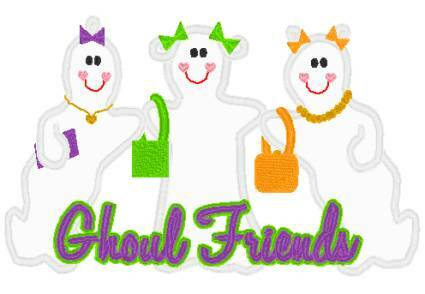 What a fun design for all the "ghouls" to wear for Halloween! Your choice of T-shirt, long-sleeved T-shirt, or sweatshirt. This applique design will get lots of compliments & smiles! Available in grey or black in sizes Youth Small-Adult 2x One-of-kind available in brown Adult large.